Given today’s constantly changing business environment, business owners need help managing the increasingly complex world of employee-related issues. Does the very thought of another workers’ compensation issue or the risk of payroll tax noncompliance keep you up at night? The solution? Outsourced Human Resources. You can stay focused on the things that matter to your organization. The activities that significantly impact your bottom line, by divesting yourself of the burden of human resource administration. We provide outsourced human resources, payroll, workers’ compensation, and benefits administration. For over 21 years TeamLink has been providing privately owned businesses in many different industries a comprehensive solution to managing their human resource responsibilities. The majority of your business’ cumbersome and time-consuming HR tasks get shifted to a dedicated team of HR specialists. Our team will study your needs and then provide the proper guidance. Our approach to outsourced human resources is unique and has been proven effective for many industries. If you are looking to improve the efficiency of your company through outsourced human resources then TeamLink is the perfect fit for your organization. Founded in 1995, TeamLink provides Fortune 500-level human resource services to our clients and their employees in over 40 states. We excel at helping companies with workforces ranging in size from 10 to 200 employees. When you partner with TeamLink you don’t have to invest your most valuable resource, your time! Mundane tasks like tracking payroll or handling benefit claims are shifted to our professional staff. Best of all, you don’t have to hire additional staff to manage your HR. TeamLink uses a state-of-the art payroll processing software that provides maximum security and the most efficient payroll. We have the ability to create checks, offer direct deposit, maintain payroll records, and handle all tax deposits. In addition, we can respond directly to your employees whenever they have benefits questions or concerns. Utilizing an Automated Clearing House (ACH) system we will debit your business bank account automatically, freeing you from check-writing. Plus, the responsibility for tax payments and filings falls on our team of experts, freeing you from this burden. The bottom line: Teamlink provides Fortune 500-level human resource services and benefit packages. Our two decades of knowledge and experience will help your employees as well as increase your bottom line. 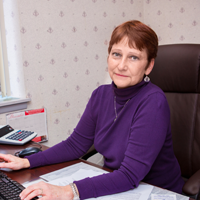 As Director of Operations, Fran oversees all human resource functions and is responsible for accounting and administering the 401k plans. She is also the resident expert on commuter benefits, internal payables and receivables, managing the accounts, and the payment of all federal and state taxes. 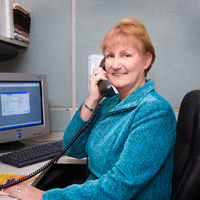 On top of all that, Fran is also the benefit administrator for all our clients. Fran is a member of Society for Human Resource Management (SHRM) and has received the Professional Human Resources Certification from the H.R. Certification Institute. In addition, Fran has also completed the Fairleigh Dickinson HR Professional Development Program. Carolynn went to business school and began her career in business administration with two major insurance companies before joining TeamLink in the payroll/HR aspect. One of the benefits of working at Teamlink HR is the daily interaction that we get to enjoy with some truly amazing businesses and their people. Seldom does a day go by when we aren’t busy instructing a co-employee of an enhancement to their dental plan, how to understand their recent statement, or assistance getting a copy of a tax form. All TeamLink associates strive to provide excellent service, communication, and follow up to our clients and their employees. But don’t just take our word on this; here are some actual testimonials we have received from a few of our clients. “I used to think co-employment was confusing and expensive. I have found the opposite is true working with TeamLink HR. We have a better clarity because we no longer have to deal with administration issues, payroll management, state and federal tax compliance, and all that record keeping. Even our new hires are impressed when they see our new level of professionalism in their onboarding process and employee manuals. We highly recommend their services”.